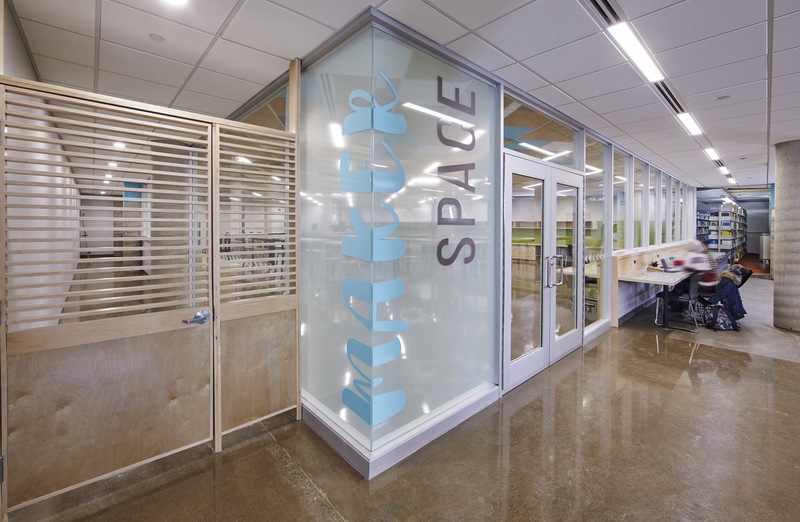 Located on the lower level of Thode Library, the Makerspace is a joint effort between McMaster University Library and the Faculty of Engineering, providing a new interdisciplinary experiential learning space where the McMaster community can gather to create, invent and learn. Use of the Makerspace is governed by the code of conduct. 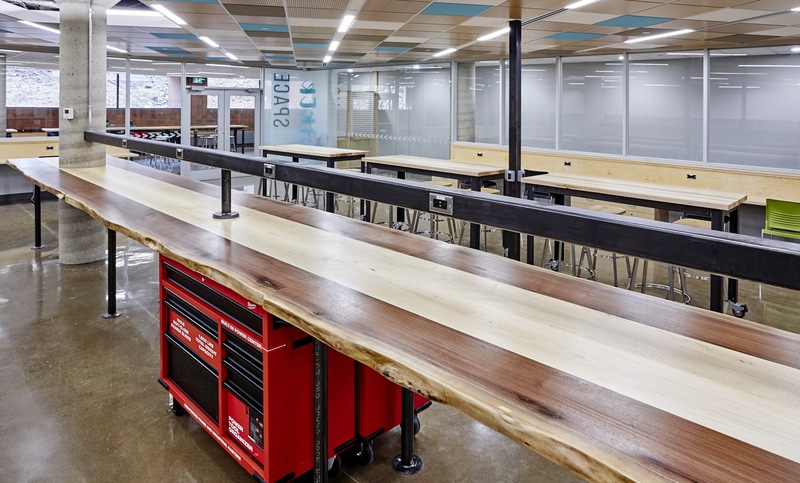 The Makerspace is equipped with tools and technology to prototype and create. McMaster students, staff and instructors from all disciplines are welcome to use our equipment! If you are planning on using any of the specialized tools marked with an *asterisk*, you'll need to complete the online safety training course. Want to hold a Maker Event in our space? All users and visitors in the Makerspace agree to abide by the Makerspace Code of Conduct (see right sidebar for full document). Below is a summary of some general rules. The Thode Makerspace is open to all McMaster students, staff, and faculty. All are welcome, whether experienced makers or just curious. As a making community, we tolerate no inappropriate behaviours or harassment. Harassment includes offensive verbal comments related to gender, gender identity and expression, sexual orientation, disability, physical appearance, body size, race, or religion. Harassment also includes sexual images in public spaces, deliberate intimidation, verbal or physical threats, stalking, following, harassing photography or recording, sustained disruption of talks or other events, inappropriate physical contact, and unwelcome sexual attention. Anyone asked to stop any harassing behaviour is expected to comply immediately. We are here to learn as a community. Asking and answering questions is part of the maker culture, and everyone has something to learn and to contribute. Please ask and answer questions with respect and generosity. The staff of the Makerspace and Thode Library are here to help and to keep the space welcoming. Please respect them at all times. Safety is a paramount concern at all times and is everyone’s responsibility. Do not attempt to use equipment that is labelled to indicate that it requires safety training if you are not trained. In general, if you are unaware of how to do something safely, don’t do it. Ask questions and get help. Be aware of others who may be engaging in unsafe behaviours and bring these to the attention of the staff on duty. Fire is bad in this space. Please, no open flames at any time for any reason. The Makerspace is for making. Please do not use it as a general study or hangout space, nor to host events such as watching sports. Breaking is part of making. If you break something, own up to it by letting staff know. In many cases, it will just mean that we need to restock that material. In some cases, we may assess fines, but these are reasonable and related to replacement costs. Always leave the space cleaner than you found it. We provide wipes, a vacuum cleaner, and other cleaning supplies. Be kind to work surfaces. Use one of the trays provided if your work will seriously mar or damage the wooden work surfaces. Anyone found in violation of any part of the Code of Conduct is expected to comply immediately when asked. Repeated violations are grounds for banishment from the Makerspace and possible University disciplinary action.